The ETS 380 is a compact electronic temperature switch with a 3-digit display. 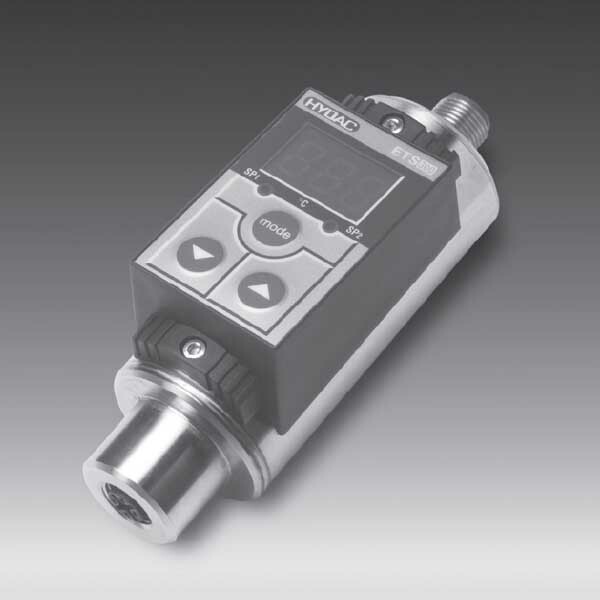 The model for separate temperature probe has a measuring range of -30 .. +150 °C. What’s more, its utilisation is primarily with the temperature probe TFP 100, specially developed for tank mounting. It is also possible, however, to use standard PT 100 temperature probes. Indeed, a variety of applications are possible, thanks to different output models with one or two switching outputs, and with the possible option of an additional analogue output signal of 4 .. 20 mA. Moreover, the adjustment of switching points and the associated hystereses can be very quick and easy using the keypad. Furthermore, for optimum adaptation to the particular application, the instrument has many additional adjustment parameters (e.g. switching delay times, N/C / N/O function, etc. ).